Multivariate data methods have been applied in analysis of parameters derived from patients with metabolic syndrome undergoing a remedial regime. In an example involving parameters derived from the fatty acid composition of serum lipids multivariate modeling is challenged to identify potential biomarkers for prediction during the intervention. Multivariate methods also reveal useful applications to monitor compliance to the prescribed exercise and diet regime, a critical feature in a lifestyle intervention conducted over a long time period. The service de Spectrométrie de Masse (ERL INSERM 1157/UMR7203 Faculté de Médecine Pierre et Marie Curie, Paris, Fr.) has supported the lipidomic GCMS measurements. 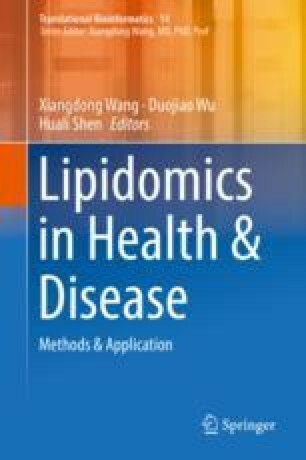 Applied Lipid Investigations® (http://joomla.aplipid.com/) has supported the statistical investigation of the lipidomics measurements. The trial was supported by Blaise Pascal University—Laboratory of Metabolic Adaptations to Exercise under Physiological and Pathological Conditions and by the thermal baths of Chatel-Guyon and the Omental Thermalia, Chatelguyon, France. Richard Naftalin is thanked for helpful comments on the text. Li K, Brennan L, McNulty BA, Bloomfield JF, Duff DJ, Devlin NFC, Gibney MJ, Flynn A, Walton J, Nugent AP. Plasma fatty acid patterns reflect dietary habits and metabolic health: a cross-sectional study. Molecular Nutr Food Res. 2016;n/a–n/a. https://doi.org/10.1002/mnfr.201500711.